A little bit traditional and a whole lot of fun! Crafted of fine artist's resin, our nutcracker ornament Captain is a cheeky nod to the holiday décor staple! 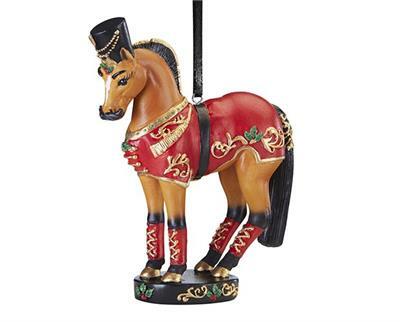 Outfitted in the traditional "soldier" style that was popular with the original nutcrackers, this beautifully-detailed Fjord is crafted of artist's resin and stands on a pedestal!